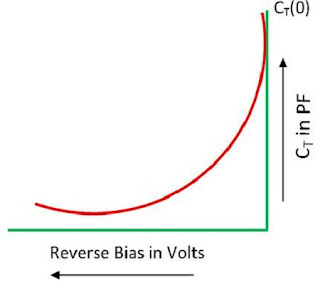 The below graph illustrates the relation between the magnitude of reverse bias voltage p-type and n-type layers of a varactor diode, and the magnitude of junction capacitance. They are voltage controlled capacitor and sometimes known as varicap diodes although the word varactor is widely used. 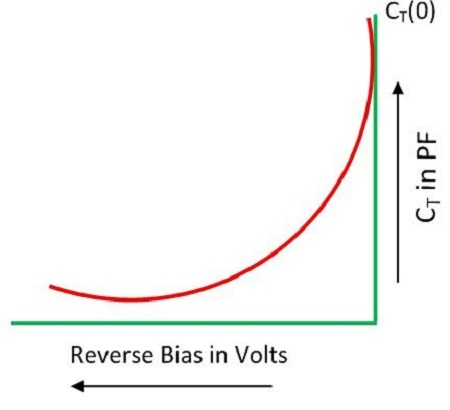 Variable capacitance effect is shown by a normal diode, but the varactor diode is preferred for providing required capacitance changes. The diodes are uniquely optimized and also manufactured such that they enable high range changes in the capacitance device. A varactor diode is categorized based on the properties of a diode junction.